"I highly recommend the Psycademy programmes to give you the strategies, techniques and tools that you can use for the rest of your life." 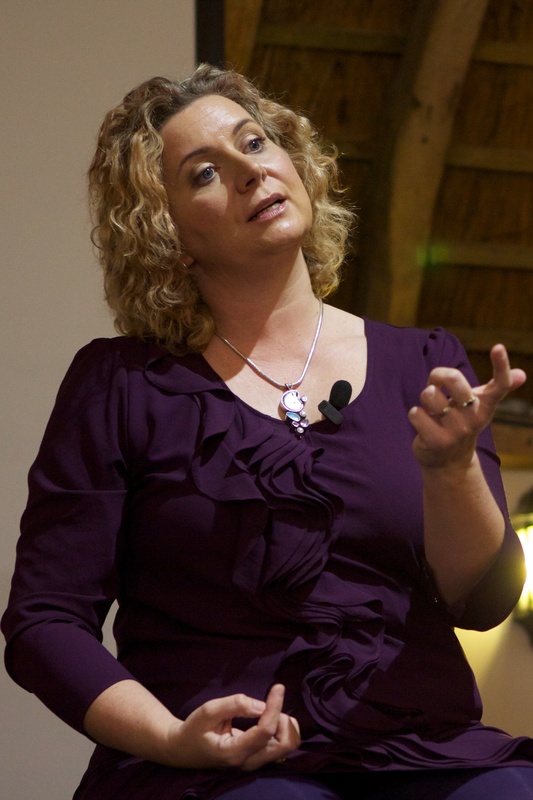 "I’ve just done the event with Lisa Turner, and… pretty phenomenal! It’s the first event that I’ve been to where I’ve never felt drained or down afterwards. Very energising, very powerful. So many shifts and changes." "I’ve gained HUGE amounts. So much self learning and so many ideas about the future and where I want to go. I’m on a journey to learn more and I want to thank you all very very much." "I feel more plugged into the grid, letting the energy flow. I am more energised and fabulously lack the fear I had." I’ll be sending you some BONUS training to get you started before the event, too! I’lI know that after you complete your reservation and lock in your seat for “How to Be an Abundant Spiritual Leader”, you’re going to have a bit of a let-down. That’s because there’s a fair amount of time between now and the event date. So to tide you over (and help you get the most out of your time with me), I’m giving you access to some BONUS online training that you can dive into starting just minutes from now! “Higher Self Therapy” and Emotional Clearing (value £300) – In this limit-busting program, you’ll discover and use the simple step-by-step formula for easily eliminating blocks that are keeping you from experiencing life as your highest self. An absolute MUST if you truly desire success as a spiritual practitioner! Practical Awakening: Mastering the Mechanics of the Soul (value £1300). The most straightforward, simplest approach to spiritual awakening possible. I’ve invested 14 years into creating and refining the techniques you’re getting inside Practical Awakening. Everything is broken down into easy-to-follow pearls of wisdom you can use to create your own awakening…. without all the second-guessing! That’s £3194 in bonuses… all yours at No extra cost! Seats are disappearing fast – reserve yours today! Right now, there’s still time to register for this once-in-a-lifetime event. And if you take action today, you can even get in at the special Early Bird price! Yes! I DESERVE to be an abundant spiritual leader! The most energizing, breakthrough-sparking, enjoyable event you’ll attend this year! Wouldn’t it be amazing if you could actually have a direct conversation with the UNIVERSE! Well in this session you can, when you witness and experience the invocation and channelling of a very high level guide known as “No-One-Guide”. In this session you’ll be guided through a secret activation that will bring source energy INTO your body. The kind of leader you want to be, who you want to lead and how. Be guided through a model of activating your inner power so that you are better able to make the small or large changes you want. Understand the different PowerCentres™ and how to use them to empower your life. Identify your strongest PowerCentre™ and learn how to tap into the others to support you when you want them. Tap into your innate spiritual power today! You know that there are no true coincidences, right? You’re here because some aspect of you already knows that this is the journey that you should be on… and that How to be An Abundant Spritual Leader 3-Day event is exactly what you need to achieve a profound spiritual transformation. It’s time to expand your power, influence, and purpose. It’s time to step into your own transformation and discover the profound impact you can have on others. Listen… I know that it can be difficult to be completely confident that you’ll get what you pay for when you invest in a programme. After all, there are unfortunately plenty of “experts” out there who are more than willing to take your hard-earned cash, and give you a programme loaded with filler in return. So if you’re a little hesitant to click the button and invest in How to Be An Abundant Spiritual Leader right now… I completely understand. If, by the end of Saturday, you haven’t’ had an undeniable spiritual experience, just quietly return your materials to the back of the room and I’ll give you all your money back. So you’re not risking anything to attend… but you’re getting the opportunity to truly unlock your potential and create phenomenal change! Do yourself a favor and claim your seat now… while there are still spots available! I can’t wait to see you at the event! P.S. : If you choose to “pass” on this 3-day intensive, I understand. But 5 years from now, what will your life look like if you don’t say “yes” to this opportunity? Most likely, it’ll look a lot like it does now. (If that makes you feel a little uneasy, then you definitely need to get registered right away! P.P.S. : If the investment is bothering you, think about this: What would your financial situation look like right now if you’d taken action a year ago? 5 years ago? You’d have the financial freedom to do whatever you wanted… and the spiritual power to make a HUGE impact. There’s no need to keep struggling – click the button below and register for “How to Be An Abundant Spiritual Leader” today! What if I don’t think I have the gift? Do I have the skills? We work from the principle that everyone can connect to source and their guides. You don’t need to be born with a gift because you already HAVE it, but you might need to learn how to use it. Frankly if there’s one thing that makes me mad it’s hearing anyone say that only a select special “chosen ones” have the gift!!! WHAT!!! NO. You have the gift, we all have the gift. Anyone can do this. If you can’t right now – then you can learn and, that’s just one of the reasons I created the spiritual practitioner training. I want everyone to know this and to experience this. Even if you don’t apply now, then know this. You CAN connect with spirit, and you do NOT need a gift. Anyone can learn the skills! Everyone can connect to spirit! I don’t want to be a healer or practitioner is it for me? Yes! If you want to change your life and heal yourself! These skills can be used just for yourself, to become a more powerful communicator, leader and in any industry. In the past we have had students who have been lawyers, doctors, dentists, recruitment consultants, engineers, and stay at home mums who want to be better parents. As well as all kinds of complimentary therapists, from reflexologists, reiki masters, beauticians. Am I too old or young to do this? This work is for men and women of ALL ages, races and cultures. We encourage everyone to focus on a niche; so you get to choose to work in an area where you feel confident and inspired. It’s never too late or too soon to feel connected to source, to feel confident, powerful and empowered! I’m already doing another training, can I combine them? Will there be a conflict? It’s entirely up to you. Because we don’t subscribe to any specific discipline and avoid dogma there will be no conflict. However many other trainers request that you refrain from working with others trainers because they are afraid of conflict. We never tell you to work only with us. So this is a decision you must make yourself. It usually boils down to what do you feel CALLED to and DRAWN to? I already have my Reiki - is it for me? Reiki is a great introduction to energy work. The skills you will gain as a Spiritual practitioner will take your energy work much further. Here’s why. Reiki works by transferring the energy via a symbol. This limits it to the quality of energy associated with that specific symbol. On the spiritual practitioner you will learn to channel pure unlimited source energy, without restriction. Imagine how much more powerful that will be! Previous Reiki masters have been astonished by how much more energy they can work with after getting hooked up to source. Isn't spiritual teaching supposed to be free? Surely it’s not spiritual to be rich? This is probably one of the most disempowering beliefs you could hold! Let’s face it. If we believe that all the spiritual people should be poor, then we’re left with only NON-spiritual people having the money and power who would use it for their own greedy ends. BUT – if spiritual people start stepping into their money power, then the planet, society and economic power is in the hands of those who really CARE, and who are making decisions for the highest good, rather than for self-serving reasons. Which do you really think will make a better world? The spiritual people in power, working for the highest good? The non-spiritual people in power working for their own selfish ends (whilst spiritual people hide in the corner)? Yeah – let’s get spiritual people stepping into their money power and change this beautiful planet! Get your questions answered by completing the form here.